As a designer & stylist I am always looking for inspiration. New silhouettes, colors, ways of combining looks... needless to say I always pay very close attention to the runways. But I digress... here are my top SS17 shows that had me wanting more. Always a brand that really scours the archives to evolve. This season the contrast highlights of a McQueen look were seen in sharp tailoring while styled with sneakers for a contemporary feel. Paisley brocade, military silhouettes, vintage postcard travel motifs and punk-meets-India inspired jewelry. Serving up some Dries van Noten vibes and I am here for it! Ami can be quite simple and give off APC basic vibes at times. But this season brought me back to what I love about the brand: The Parisian way of life. 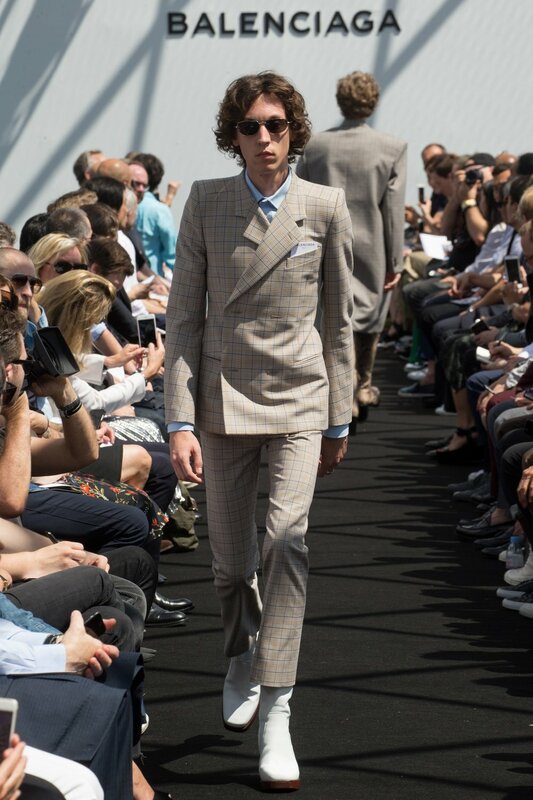 The bobo slightly oversized suit worn in a casual just-woke-up-threw-this-on/je-ne-sais-quoi attitude that only the French can pull off. All combined make for a great look but even alone they are stand out while still being traditional pieces for the every-man. Sébastien Meunier’s take on Demeulemeester has developed from a place of love. 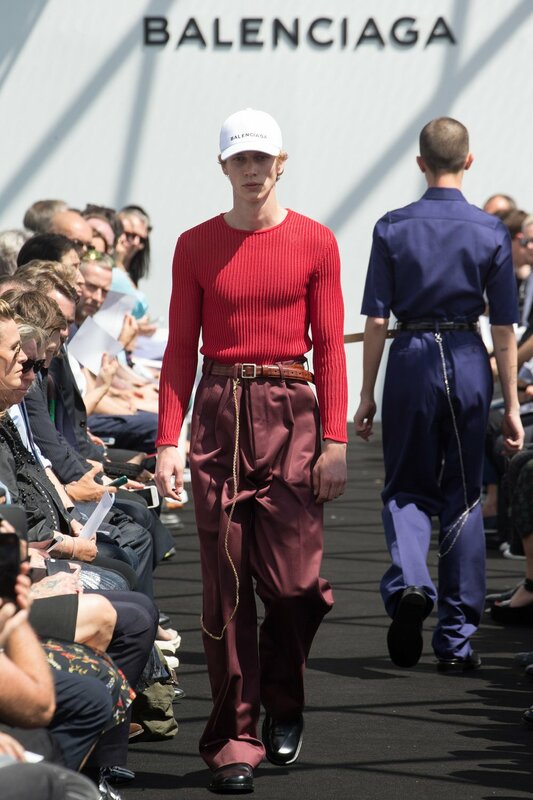 He has made his mark over the past 3 years at helm by bringing newness to the collection while providing a consistent "red line" that stays true to the brand however I haven't found it fully encompass a collection until this season. SS17 intermixed with women's resort has brought romance to the runway through the inaugural monochromatic black with highlights of white and with flashes of red seen in the beaded tags "I am red with love". Ribbons, chainlettes and paint dipped feathers hung from the loose often striped or open knit garments accompanied by embroidered bird cummerbunds. I am always a fan and this time around I found the soft poetic feel of this collection to be on point and a highlight of the past several seasons. Ok Vetements is an enigma. Sometimes I am like YAAAAS and other times I am like W T F. Now that Demna has take the helm at Balenciaga we have seen how he has flipped the women's line from the monochrome Wang direction to ...well an elevated Vetements without budget constraints. 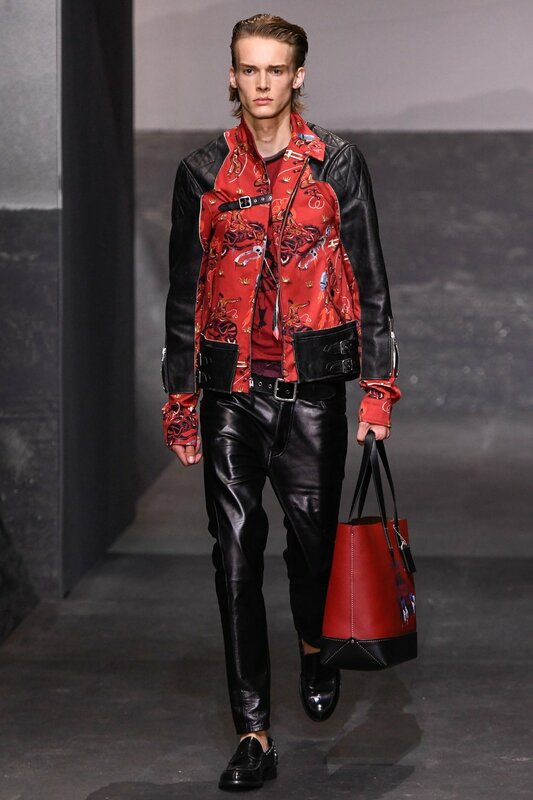 One can already see a dramatic push in the first menswear collection. Boxy fits and elongated shoulders juxtaposed on either large or shrunken silhouettes. 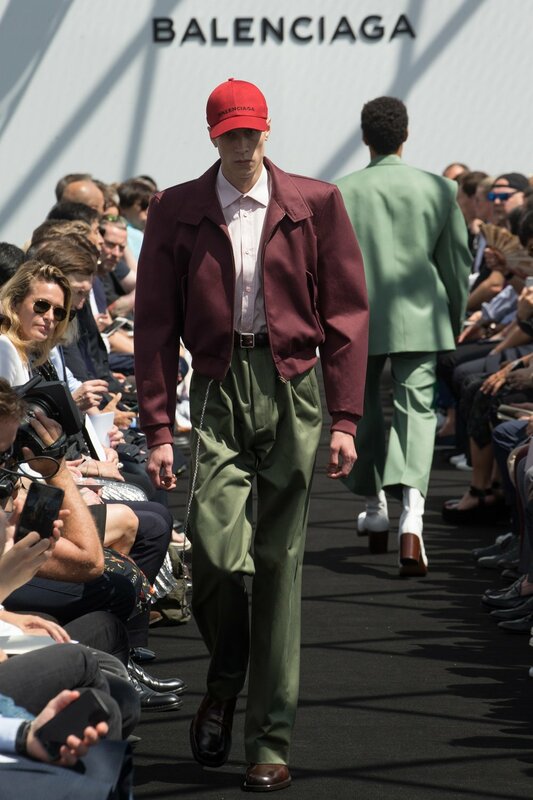 While the extremity of the collection might not be wearable for all his pushing the boundaries will help to open the tightly constructed world of menswear and that in itself is a reason to be excited! I am living for this! 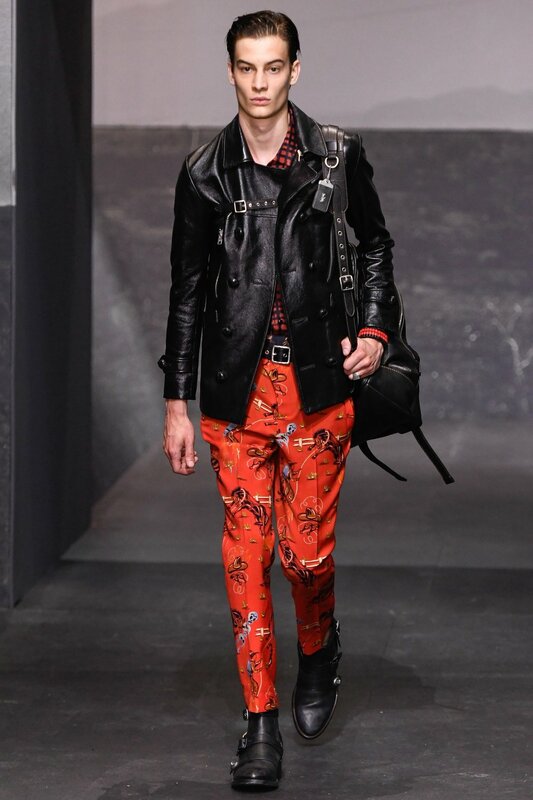 Since F/W14 when Coach restructured they have come a long way. From the get go I found the rebranding a great idea. No longer the monogram purse mall magnet the clothing has a voice of it's own. Each season since has been a fast progression. While they have learned what works and what doesn't for the customer the designs still push for the boundaries and the themes are obvious but subtle. Taking everyday classic pieces and give them life without screaming straight kitsch. 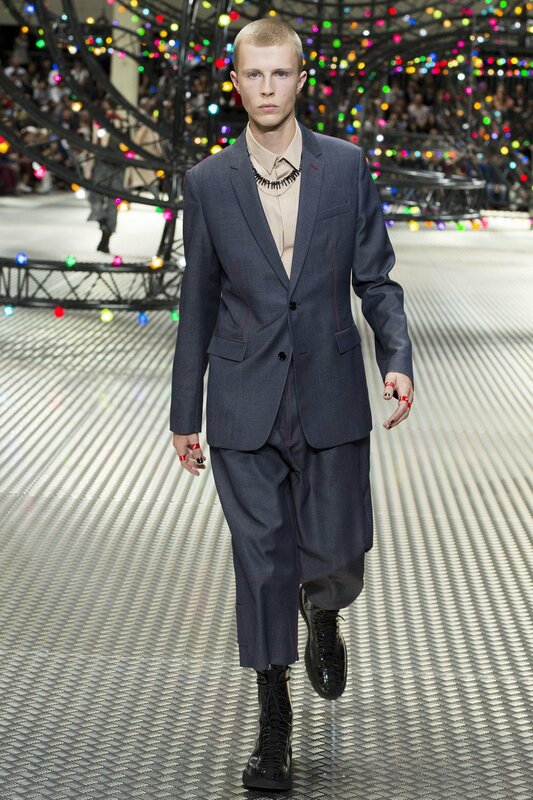 This seasons 50's rockabilly-lite meets cowboy feeling has me hooked! I am in love with all the leather jackets! The use of Gary Basemans artistic flair really is the perfect touch and I know I will be on the look out for several pieces for when I join a fashion forward 50's gang. Ok, I wasn't expecting this either. I think what got me was the denim mixed COS & Carhartt together et voilà! I am a sucker for clean lines, boxy shapes, fabric mixes and workwear details... oh, lets not forget about a gladiator sandal. While some of it was a bit OTT there are several pieces (hello denim jinbei) I will be looking for in the come Jan when it hits stores. 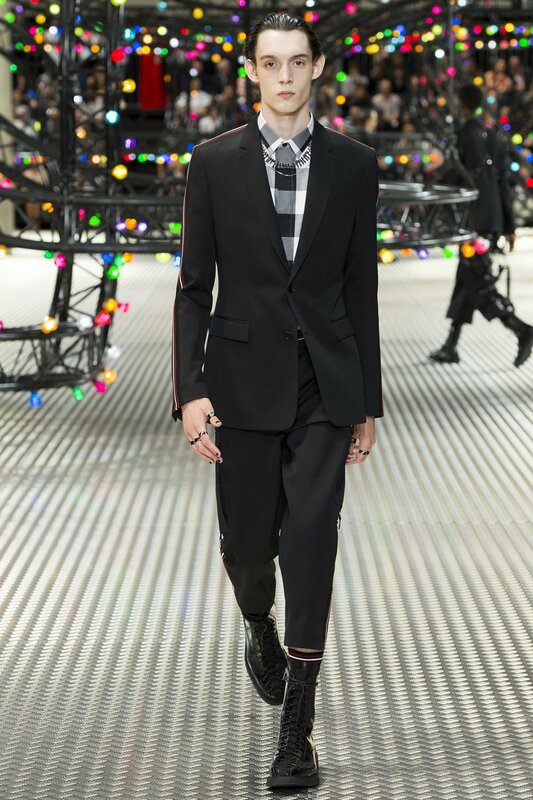 Like every season I flock to Kris van Assche's Dior Homme this season got me yet again, shocker! 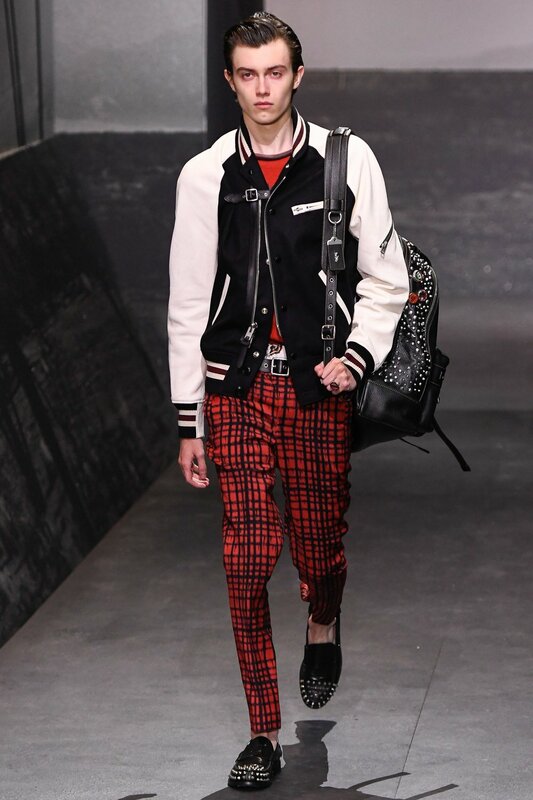 The punk & new wave references combined with sporting elements were spot on. A few items veered a bit too Hot Topic for my taste but in general the mesh and harnesswork made up for the Juggalo pants.